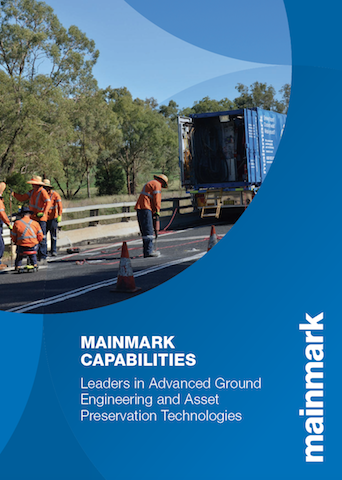 The Mainmark group of companies are leaders in advanced ground engineering and asset preservation technologies. For more than 20 years, Mainmark has led the world in offering unique, innovative solutions for foundation repair, and rectifying problems in residential, industrial, commercial, civil engineering, and mining situations. ENCAP6® is a technologically advanced chemical (resin) formula that bonds to concrete and steel structures for use in revitalising ageing infrastructure. It works by sealing, protecting and structurally reinforcing ageing concrete and steel assets. Primus Line® is a trenchless technology that is the ideal solution for rehabilitating and fixing high pressure hoses and pipelines without digging trenches. It is made from a flexible, 3-layer pressure hose and dose not compromise on hydraulic pressure. Ultra-Panels are Ultra High Performance Concrete (UHPC) slabs, manufactured using a unique combination of concrete and steel fibres. The slabs are exceptionally abrasion-resistant and durable. Ideal for rehabilitation and replacement of high traffic and chemically affected concrete surfaces. STRAAM is an acronym for STructural Risk Assessment And Management. It is the most effective way to measure the unique dynamic signature of any structure. 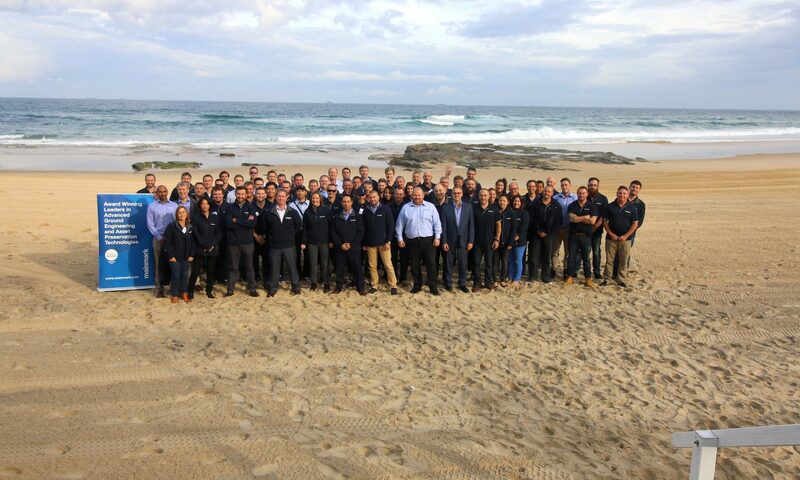 In Australasia, the Mainmark group of companies has been in operation since 1995, with seven offices throughout Australia and New Zealand. Since 2001, we have also operated wholly-owned subsidiaries in Thailand and Japan, and more recently in the UK. Our reputation has been built on providing a unique and innovative service that provides cost effective and efficient solutions. Our people are committed and focused on providing our customers with a service that is right the first time. We are a privately-owned company with highly-trained technicians and state-of-the-art equipment. Our solutions are all non-toxic, inert, and environmentally neutral. All of our works are planned, supervised, and executed by our own experienced personnel. We guarantee our products. Companies of the Mainmark group present creative, effective solutions to many types of ground engineering problems in a wide range of sectors: industrial; commercial; residential; civil; and mining. Some of the companies offer related solutions in the building and construction areas. Many of these solutions are unique to Mainmark and its associates. In Australia: Mainmark Ground Engineering Pty Ltd ATF Mainmark Ground Engineering Trust, Mainmark Civil & Mining Services Pty Ltd, Mainmark Equipment Pty Ltd and other related businesses including Grouting Plus Solutions and Fytogreen. In New Zealand: Mainmark Ground Engineering (NZ) Limited, Mainmark Civil & Mining Services (NZ) Ltd, Mainmark Equipment (NZ) Limited and other related businesses. Mainmark has been examined by QMS Certification Services and found to be conforming to the requirements of: ISO 9001:2015 certifcation | ISO 14001:2015 certification | AS/NZS 4801:2008 certification * Mainmark Ground Engineering Pty Ltd and Mainmark Ground Engineering (NZ) Limited had exclusive sub-contract relationships with The Mainmark Corporation Pty Ltd to supply and apply Uretek® resin injection methods.